Saturdays 10 a.m. – 2 p.m. or by appointment. Closed for the season November thru April. For special group or individual tours call the museum at (608) 938-4216 or send your request to mahs@tds.net. The Monticello Area Historical Society was founded in 1995 by Mrs. Marlene Schmalbeck. She saw our area history being sold at auctions and garage sales and felt that something had to be done to preserve our heritage. 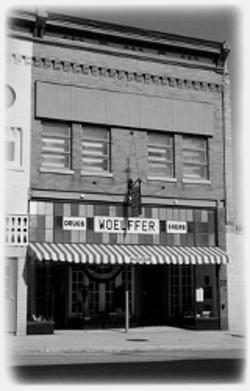 In 2001 a very generous benefactor, Mrs. Ruth Knight Sybers, purchased the old Woelffer Drug Store building and donated it to the society for use as a museum. 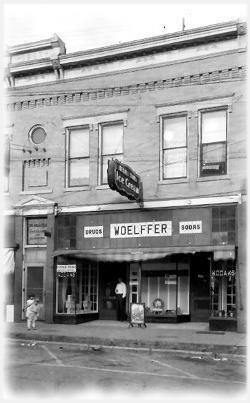 From this time on we have begun collecting and cataloging artifacts, photographs and family documents pertinent to the Monticello area as well as pharmacy items found in our building. We consider our area of responsibility to include the region covered by our local school district. 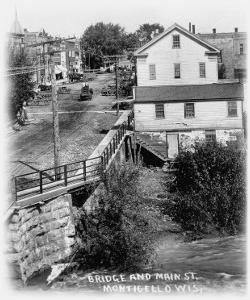 This covers parts of the townships of New Glarus, Exeter, Monroe, Sylvester and the whole of Washington, and Mt. Pleasant. The Monticello Area Historical Society is a 501(c)(3) charitable society. Your donations and gifts are tax-deductible. MAHS general membership meetings are held in the north room of the Zwingli church annex, 416 E. Lake Ave., Monticello, the 4th Thursday of each month EXCEPT July, November and December. Members receive a quarterly newsletter. We prefer sending the newsletters via Email but do send by first-class mail if preferred. Multiple member households will only receive one newsletter so please share.